Laurie Gravino was an archaeology enthusiast and photographer who lived at Żejtun and at a young age he used to accompany, Dun Ġwann Farrugia, in his country walks, always in search of historical remains. Gravino used to document anything found during their expeditions, not just by photographs, but also with notes and sketches. He donated his albums to the National Museum of Archaeology, and these are an important source for researchers. Incidentally a person familiar with the fields at Buleben described to us that once he saw two pits which for him looked like silos. He took us to see them, however at the time of inspection these were up to their upper edge filled with water, and thus it was impossible to investigate their form and depth. 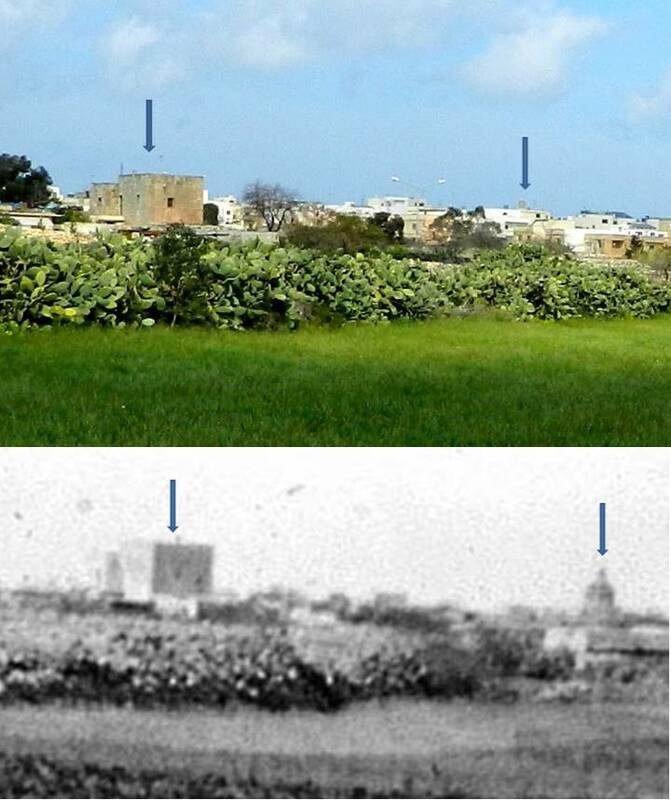 When we examined Gravino’s photograph and the two landmarks at the background, a farmhouse and a dome (St Joseph’s Convent Church at Żabbar) we had no doubt that the two pits which we have seen were the same pits which Gravino wrote the note on. 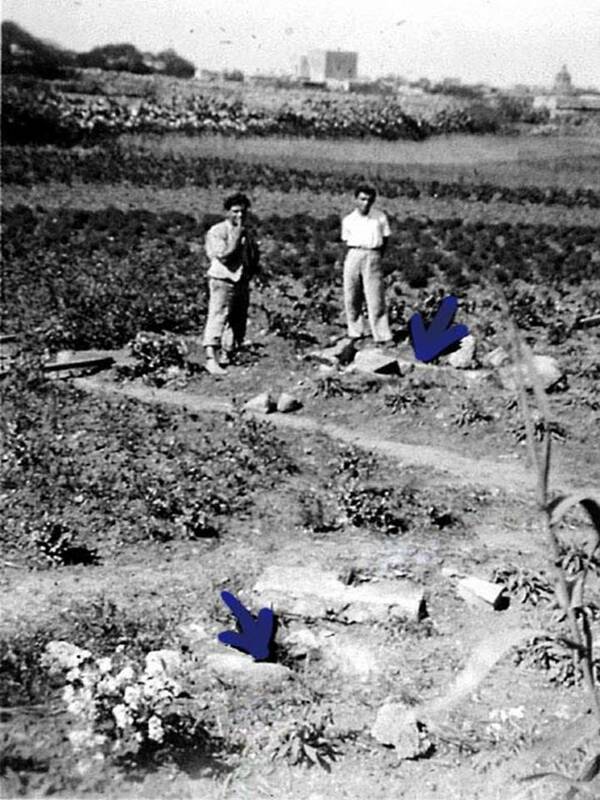 These were marked on the 1968 Ordinance Survey Sheet as two small circles (encircled in red) at Il-Ħabel l-Aħmar. 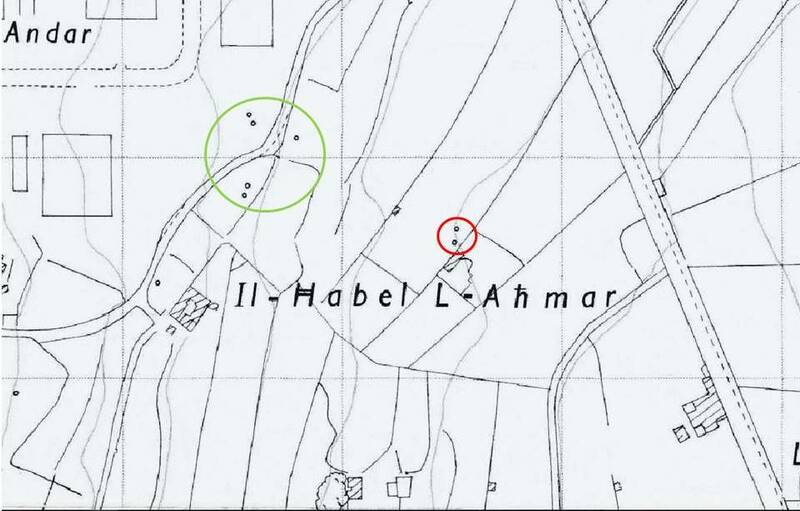 We have also noted that towards the northwest of these there is another group of five similar small circles (encircled in green), however these were completely lost as a factory was built right over them. 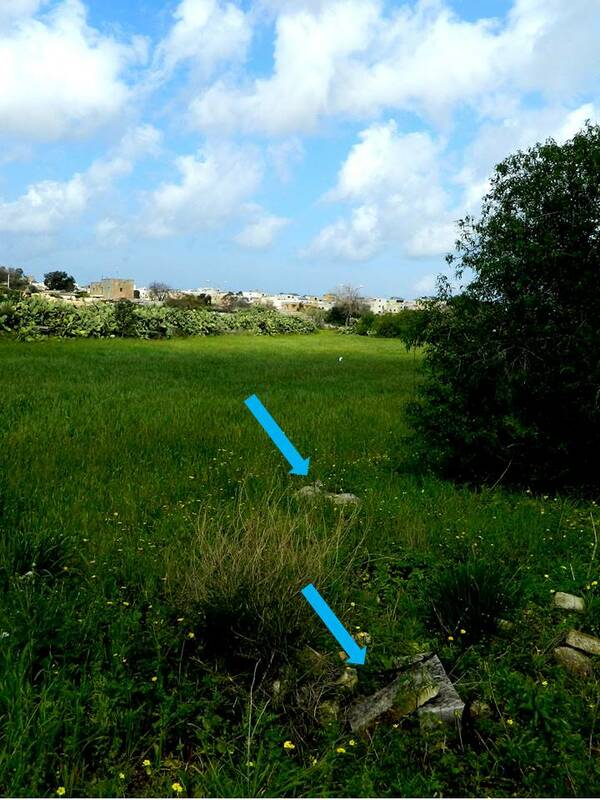 This entry was posted in Archaeology and tagged buleben, Dun Ġwann Farrugia, Laurie Gravino, Wirt iz-Zejtun. Bookmark the permalink.